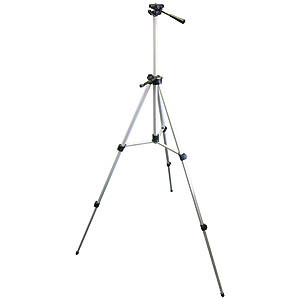 Camera tripod with tilting head. 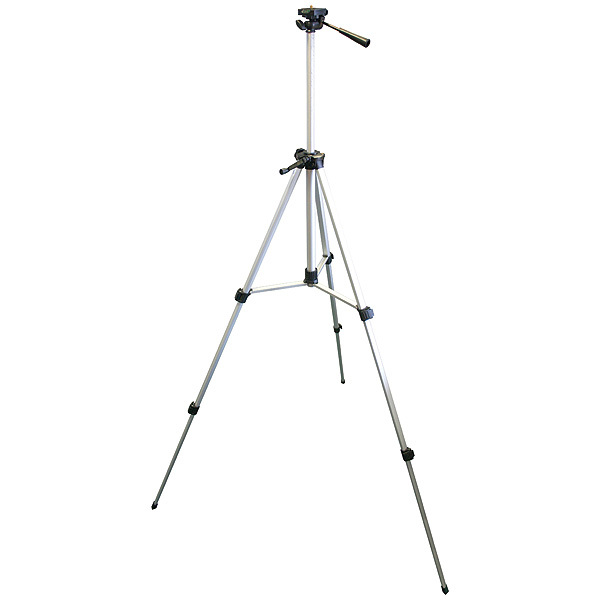 Adjustable height: 60cm - 150cm. 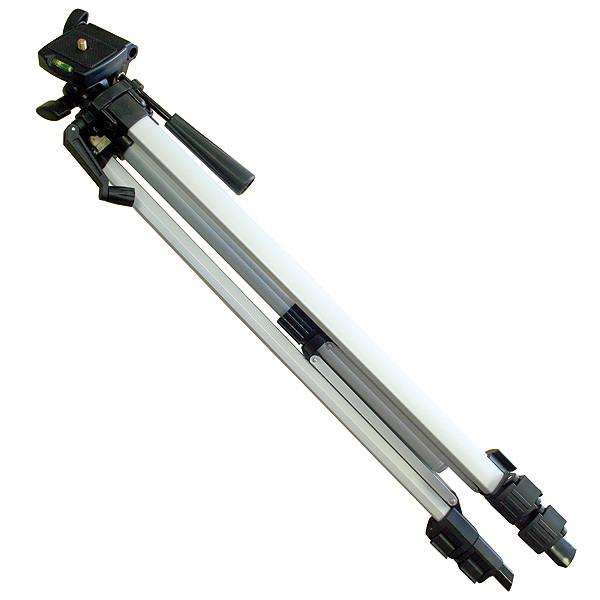 Features tilting plate for wider versatility and integrated levelling.